Baghdad International Fair is considered as an important chance for KARL KOLB to meet with the fair visitors (Officials and Businessmen) from different ministries and commissions along with Iraqi Companies. KARL KOLB´s presence at the Expo is a big competitive chance to display our products and services. It is also an opportunity to market these products to the Iraqi market. 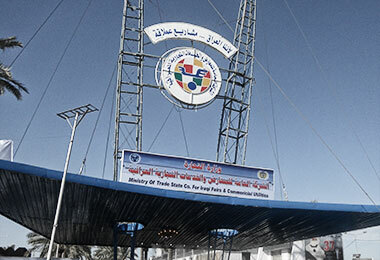 More than 300 companies from twelve different countries attended the Baghdad International Fair, Aswat Al Iraq reports. The annual fair lasted for ten days and started 1st November 2011.